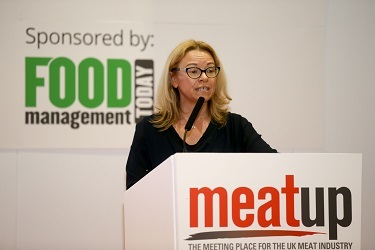 Lucianne Allen, Sales and Marketing Director of Aubrey Allen gave an impassioned speech at industry event Meatup, on how the Butchery Apprenticeship not only provided genuine career opportunities for young people, but also provided the means to drive businesses forward too. As Chair of the Trailblazer Group which developed the Level 2 Butcher Standard, she stressed the value of trades like Butchery. Mastering the craft of butchery deserves respect as a career goal in itself, she said, for the specialist skills and knowledge it demands. Progressing onto other roles within meat businesses, such as technical or management is also a real option that many apprentices might consider after completing their butchery apprenticeship. For further information about apprenticeships and qualifications in the meat industry, contact the Food and Drink Training and Education Council.